Tea & Art is an activity I participate in with my oldest daughter and her three children. During the school year we make an attempt to get together on as many Tuesdays as possible. Sometimes the event is carried through into the summer. Let’s Do It At My House! I volunteered to host this session of Tea & Fart at my home. On the menu was of course a variety of teas, one to suit everyone’s taste buds, plus a yummy dessert prepared by my daughter. On the activity agenda was the reading of poetry and a previously chosen project. 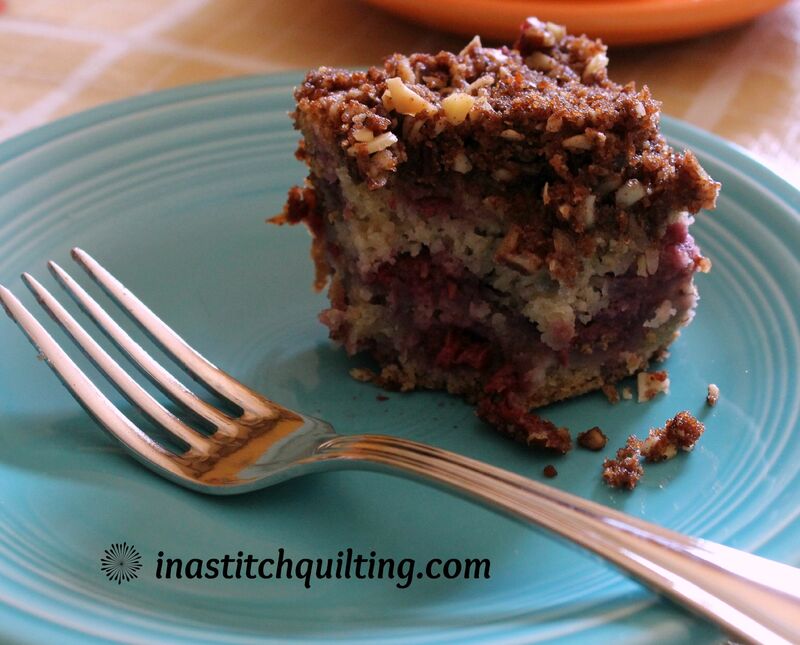 The item we would be making was a a quilt square. 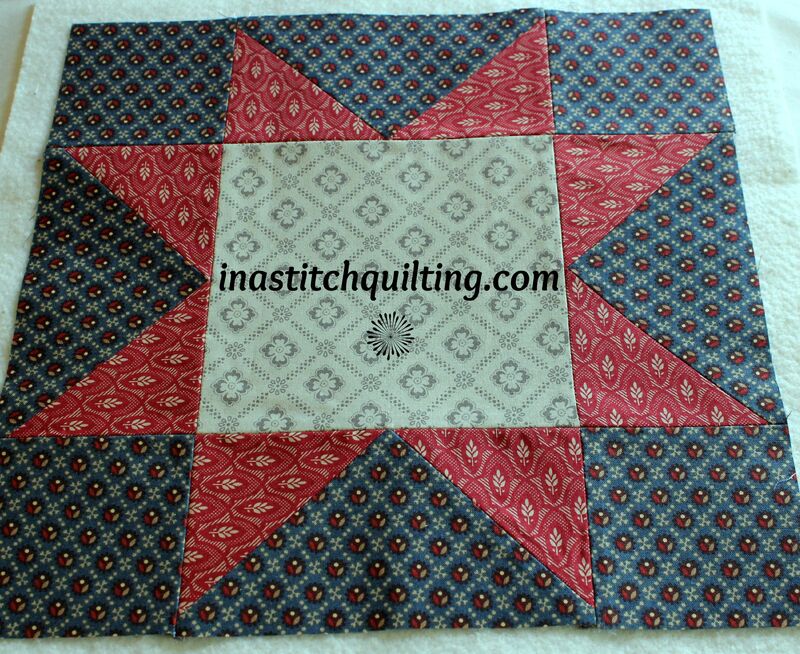 The theme for the quilt square was the Civil War. My daughter home schools her kiddos. Part of the curriculum this year is the study of the Civil War. Used as the resource material is the book The Civil War for Kids. To commemorate their studies my daughter picked the Sawtooth Star, also known as North Star block. The pattern and instructions were found at sewmamasew.com. I donated the fabric from my stash. My daughter prepared, cut and marked the fabric pieces beforehand. 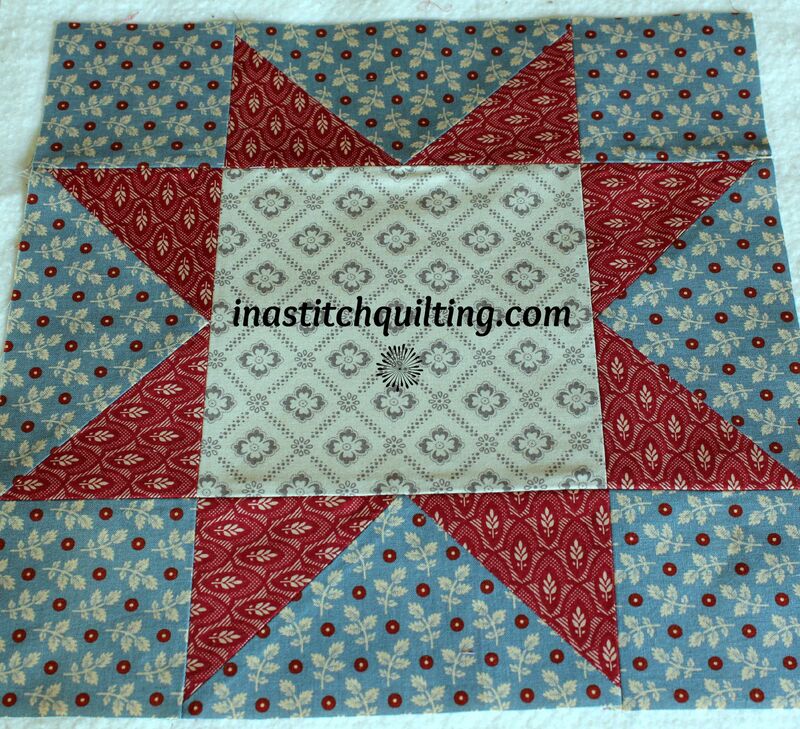 The Sawtooth Star is a fairly simple block to make, especially with adult supervision. 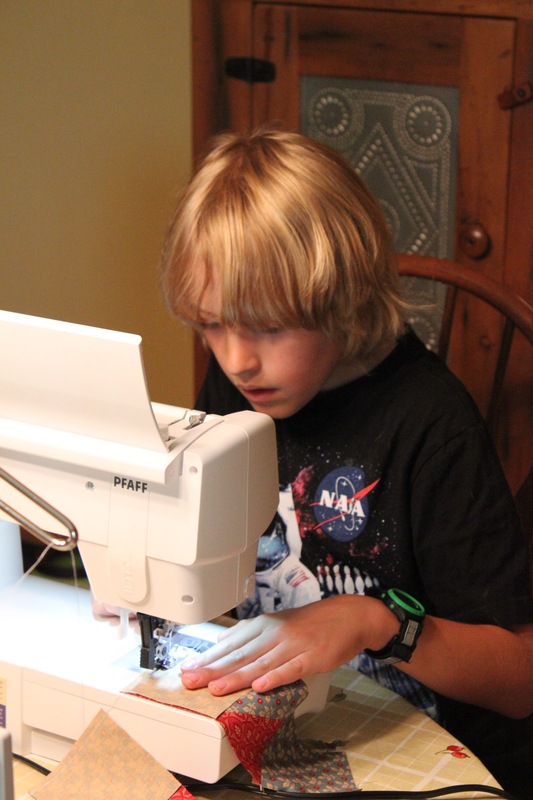 Mr. J, my oldest grandchild, did most of his own machine stitching. This wasn’t his first exposure to operating a sewing machine so he did quite well. Miss L, my second grandchild had never operated a sewing machine before. Since it was her first time it was very slow going. As you can see from the photo she concentrated very hard on stitching a straight line. With my assistance and a bit of tearing out of stitches the two of us managed to complete her block. 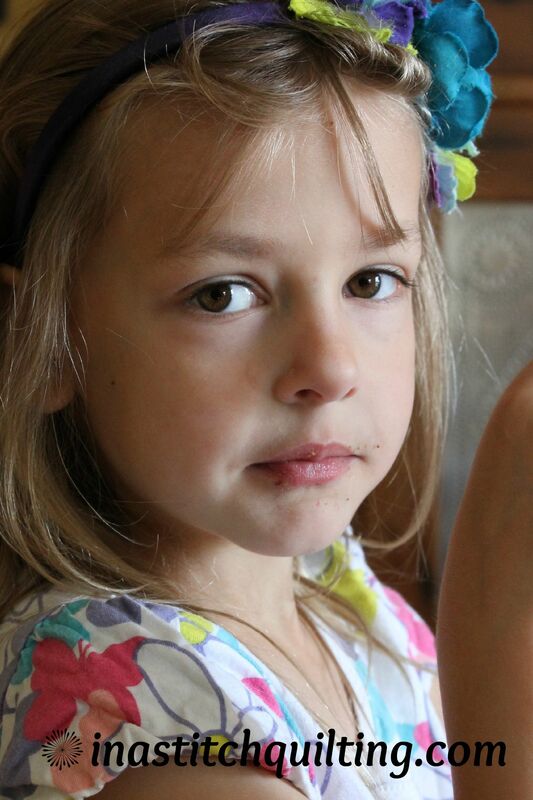 My third grandchild, Miss M, is two years younger than her sister. Her age and her size make it somewhat difficult for her to run the machine by herself. 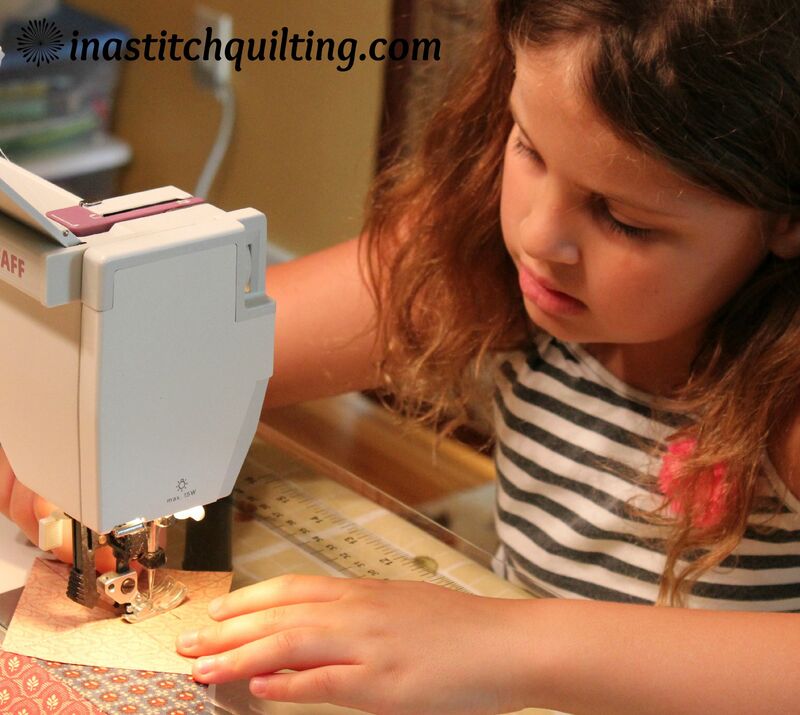 However, she worked diligently at learning the art of guiding fabric, operating the foot pedal and keeping her fingers and hands out of the needles path. In spite of her age and lack of experience she still managed to sew at least one row of stitches. You can’t learn how to sew without learning how to press seams. All three of my grandkids took their turn at that as well. Only one of them had first-hand experience with the heat of an iron on skin. After about two hours we were successful at assembling all three quilt blocks. 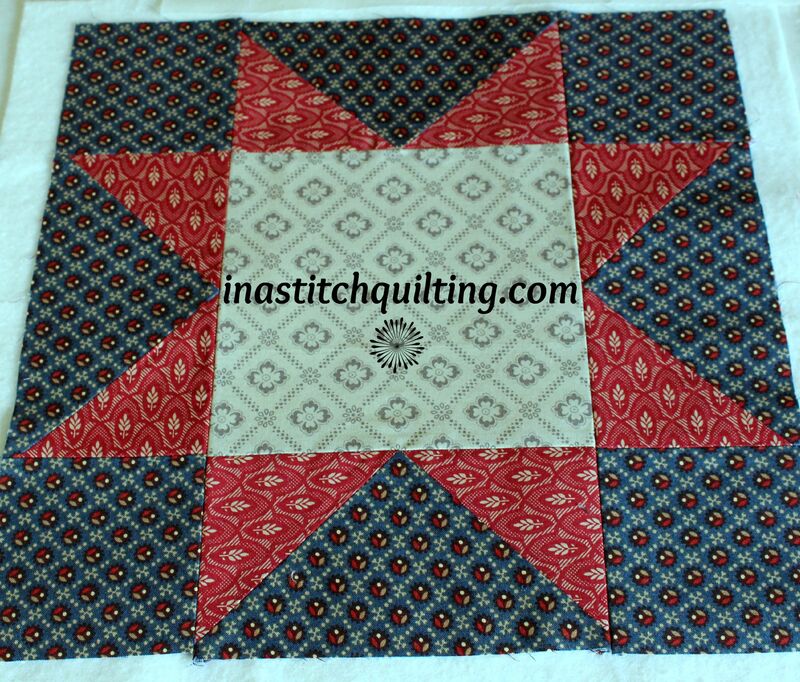 All we have left to do now is the quilting and binding. Those activities were postponed until a later date. Below are photos of all three blocks. As further progress occurs I will share an update.